“Hawaii Five-0” executive producer Peter Lenkov is weighing in on the show’s eighth season and its recent cast shakeup. CBS said in a statement during the summer that Daniel Dae Kim (Chin Ho Kelly) and Grace Park (Kono Kalakaua) were leaving despite being offered “large and significant salary increases.” But Kim appeared to offer a different narrative when he wrote in a goodbye message posted to social media, “The path to equality is rarely easy,” suggesting that he wasn’t offered as much as the show’s white cast members. Lenkov told TheWrap it was “shocking” when the show’s commitment to diversity was questioned in the news and by fans on social media. 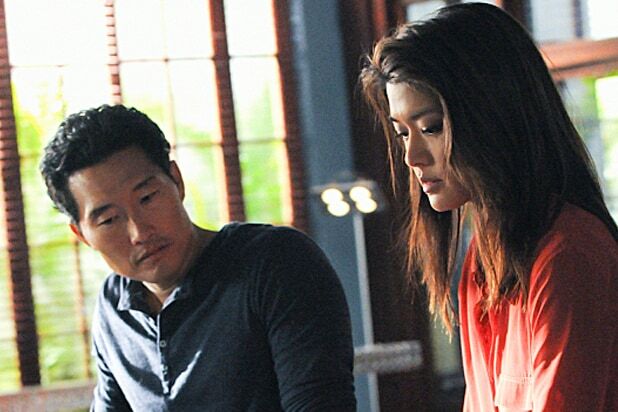 According to Lenkov, Kim and Park were on the verge of exiting the show even before contract negotiations began, and that much of the dialogue in the media “came out of misinformation.” Lenkov also pointed out that the decision to keep Chin Ho and Kono alive means that the characters could potentially return down the road. Additionally, Lenkov discussed what this season’s new characters add to the mix, the hardest part about his job and why he keeps changing the way the show is going to end. Do you regret how the cast exits were handled? We had two actors that chose to leave the show and were talking about leaving the show prior to any negotiations, and it was just that. People misinterpreted how it went down, and that’s a little bit of a shame because I don’t think people had all the information. People don’t realize when a show goes so long and an actor’s contract runs out, sometimes the actor doesn’t want to come back. I mean, they’ve played the role for seven years. Maybe they feel they’ve done everything they could with that character — they want to do new things. A lot of the dialogue really came out of misinformation. Were you surprised that the conversation became about whether the show was giving equal opportunity to actors of color? That’s actually shocking because anybody that’s seen the show from Day 1 knows that we’re probably one of the more diverse shows on television, and that’s really a representation of the island and the people that populate it. You couldn’t do the show without it being very diverse, which our show is. You can’t watch the show and say that we’re not a diversity-forward show at all. I mean, you just look at the poster for the core four that started the show, you’d see it right there. 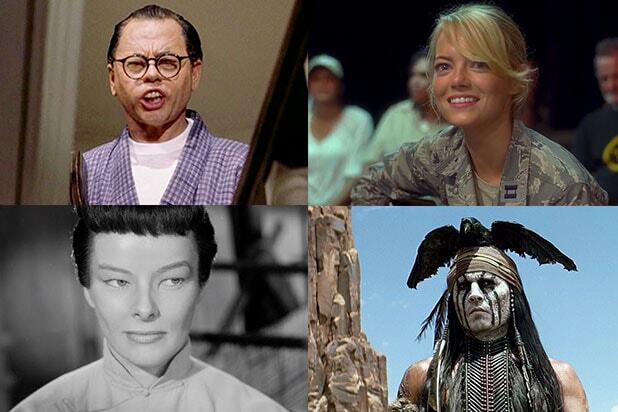 How did you decide on Chin Ho and Kono’s fates? Grace’s character is kept very alive on the show, and Daniel’s as well. Chin Ho goes to San Francsico to start his own task force, and Kono’s on this very personal mission. So it plays into the show’s theme of legacies. Who knows what could happen in the future? I’m just hoping for the sake of everybody who works on it, that we just get a few more seasons out of it. Have you told them that they’re welcome back? They know. It’s never been an issue of whether you come back. Do they want to come back? It’s up to them. All they have to do is pick up a phone. Which storylines are you most excited for fans to see play out this season? McGarrett [Alex O’Loughlin] and Danny [Scott Caan] have this runner where they trying to build the restaurant that ultimately will be their retirement business that they’ll own together. That’s really been a lot of fun. And also the new additions, with Ian Anthony Dale [Adam Noshimuri] coming back and having a bigger role on the show. The new characters are sort of like the next generation of the task force: They’re young, they’re idealistic, they bring that useful enthusiasm, they do things differently than the way we’ve done it, they come from different walks of life. It feels like it’s fresh voices and new stories that we can tell. The toughest part of the job is waiting for ratings on Saturday morning. [Laughs] I have a great job — I think that’s probably the most stressful time. I want the show to last forever, so keeping people engaged and constantly throwing curveballs out there, I think that’s how you keep things fresh. Every time I thought the show may possibly end, I’ve told that story — I’ve sort of hidden that story in an episode. I have an idea of how it’s going to end, but I hope it doesn’t. I think people have to be realistic. If the show continues, the family’s going to grow because actors are going to come and go, but hopefully the spirit of the show and the core members of the show stay intact. “Hawaii Five-0” airs Fridays at 9/8c on CBS.